Very beautiful Very Haunted and very active Shadows growls Orbs voices foot steps apparitions all the good stuff I would like to be laid to rest there myself. Scary place been a few times. 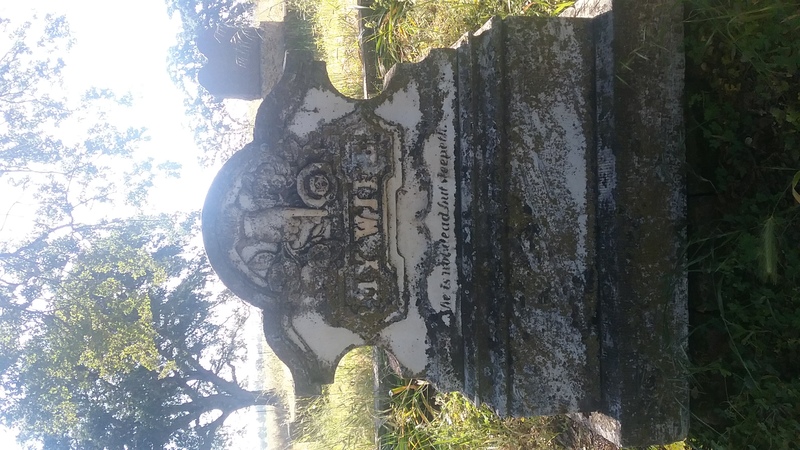 Can any one describe the shadows that have been seen at this cemetery? cause I really really need to know. My Name is Robert Ahart, My father and my ancestors are buried in Manzanita. We have been in Placer County since the early 1840’s. I will be buried next to my father. Please give me any of your feeling about the burial ground. I’ve heard and experienced terrifying stories from this devastating cemetery. I will never ever go back to this place unless it’s to bring back the monsters that followed me home that horrible night. I believe I may have pictures somewhere on an old computer but nothing caught on camera but personal horrific memories. How do I contact the owners? Can find their number. I have been going to this cemetery for many years. All hours of the day and night. I will say.. There are many things that may make u wonder for sure. Although ive never felt affraid or like i was in harms way. I believe they are like dogs.. If they sense ur intentions are bad they might bite you. Not literally of course but ya.. We have seen in photos.. A woman in white or what appears to be a woman.. Lots of orbs.. Cold. Spots at times but thats usually when a big dark shadow figure is around and wants you to know hes there. Theres a wind mill that spins and spins just past that in the older side is where it hangs out and when close to it the air and wind seems not to move at all if u get there and experience this stillness take pictures in a full 360 and u might catch a glimpse of said shadow or even the woman. Although i dont quite know the dark figures intentions.. Being a dark figure alarmed me but thus far ive been welcomed never harrassed or tormented. There is also an apparition of a little boy or at least thats what it looked like on my phone. Weird sounds fill the air at certain times.. But never alarming making me flee the area. Keep in mind this is a very old place lots of people over the years lay to rest here. And honestly after the devastating actions of those unknown criminals that came into its gates and tore the place up broke head stones graves etc.. If i was resting there id be a little pissed off myself. I visit everyone there.. Its one of my favorite things to do. I visit my sister.. And then walk around and visit the others that live there talking to them as i go. I have my favorites of course. But i place flowers on all the graves that have seemed to have blown or fell. I kind of just put them back respectably on the closest grave to where i find the fallen decor. Its a beautiful place full of wonder beyond measure and i truly believe if u go there respect the grounds and residents and they will in turn respect u. We recently moved to the area. Yesterday my husband and I took out 1-year-old daughter for a walk around the grounds. We didn’t experience anything (unless you count a swarm of flies divebombing us near the back of the property), but it seems our baby did. We took a left into the older part of the cemetery when we entered, and our girl spent a full three minutes staring, laughing, and waving at the front section. She’s very social and always acts like this when she sees new people (or dogs), but we were the only ones on the property. She didn’t behave like that in any other part of the cemetery. I’m looking forward to stopping by another time to take more pictures. If you haven’t visited, it’s definitely worth a trip just to see the beautiful and unique 19th century headstones. I visited this beautiful cemetery with my son. I did have a big problem with the pile of headstones with names on them outside of the cemetery near the river. One of the small ones have “baby” engraved on it. We’re these graves washed out by the high river and never replaced. So sad. I have been going from the time I was a little girl. WE use to water the tree to give shade. Some of the site that was torn was of my family. And we have about 3 places where our family is at rest. We have a couple young children that have gone on. But as long as I have gone I have never felt anything but peace as you look over the landscape., And Lord willing I will be laid to rest their also. Wouldn’t it be nice to gather the many family’s and friends and gave a reunion. I know my grandmother knew so many that were buried their.